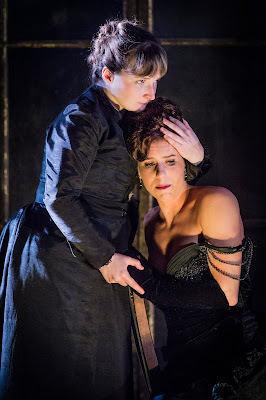 Vocal fireworks and an intelligent period production make La traviata move and sparkle. 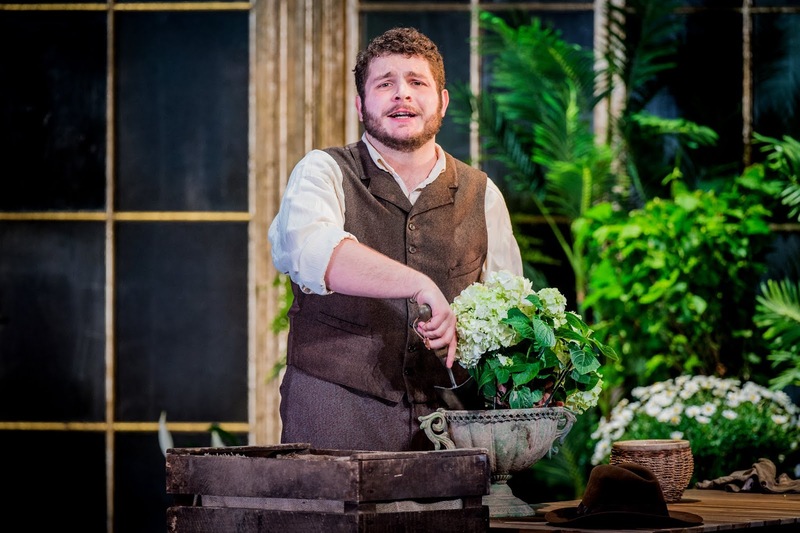 Opera Holland Park's 2018 season opened on Tuesday 29 May 2018 with Rodula Gaitanou's new production of Verdi's La traviata with Lauren Fagan in the title role, Matteo Desole as Alfredo and Stephen Gadd as Germont. The production was designed by Cordelia Chisholm with lighting by Simon Corder. Matthew Kofi Waldren conducted the City of London Sinfonia. 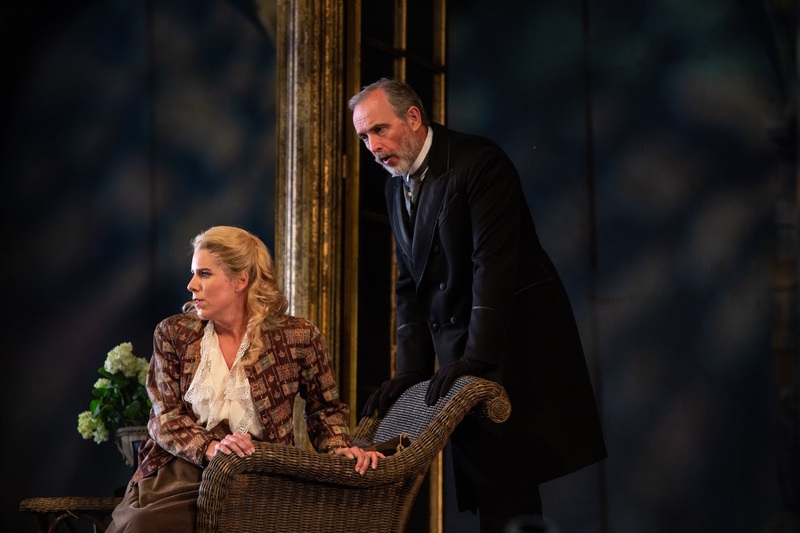 Period productions of La traviata are becoming a relative rarity, with a tendency for companies to place the action in the present or recent past. But the setting for the opera needs to capture the essential moral dichotomy of the piece, that the courtesan is rich and successful whilst remaining a shunned part of society, that the men who patronise her will ignore the dubious morality of enjoying courtesans whilst supporting a system which sees them as fallen women. Perhaps rather daringly, Gaitanou and Chisholm have chosen to set the opera period; not the 1850s of the opera's composition (so no crinolines) but around 50 years later which is an equally potent period in the moral quagmire. 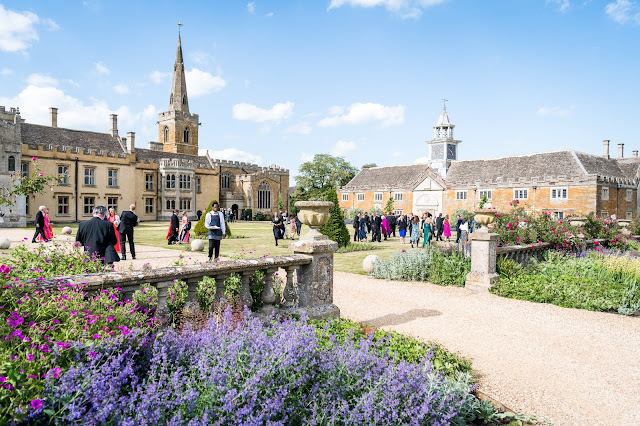 Chisholm's fixed set was a winter garden, a long row of mirror glass doors with a rotunda at one end, which could successfully be dressed as a Parisian salon or the conservatory of Alfredo and Violetta's country retreat. It created quite a long shallow playing area, which Gaitanou used deliberately in some of the ensemble scenes (in the Act 2 party we end up with Alfredo and Violetta at opposite ends of the stage). This long narrow playing area clearly caused a few ensemble problems which had not quite been ironed out yet, though I am sure they will. Whilst Gaitanou did not alter the mechanisms of Verdi's opera, after all there is no need, she had clearly been re-thinking some ideas. 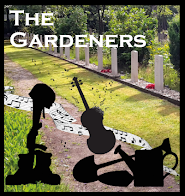 We started not with the prelude but with the sound of breathing, rather unnerving and really focussing out attention on Violetta's malady, this continued during the prelude as Violetta got ready but started coughing blood onto her white gloves. At the end of Act One, Matteo Desole sang his second interruption to Lauren Fagan's 'Sempre libera' from on-stage so the two sang the finale together and dashed off stage at the end, their intentions very clear! A number of the women of the chorus were dressed as men so that the balance between women and 'men' in both the party scenes very much favoured men, which is just what you would expect at salons held by courtesans. At Flora's we also had a couple of men in drag, just to spice the mix up even more, and the Spanish entertainment was performed by the chorus (no extra dancers) and was more of a character piece than a show-off Spanish ballet. And as the interval came after Act Two Scene One, I was pleased to note that Germont had managed to change into evening dress for Flora's party (something which does not happen very often). Lauren Fagan looked and sounded terrific as Violetta (in what was, I think her role debut). This is certainly a role which seems to fit her well, and she carried off the challenges in each of the three acts in spectacular manner whilst always keeping the music in the centre of her voice. She has a richly textured lyric voice; the coloratura in Act One was far more than just creditable and beautifully integrated into her voice so that the whole finale double-aria sequence was highly expressive. And this expressiveness of line was continued throughout the rest of the opera. All in all, a spectacular debut. She created a Violetta who was both vulnerable and capable, making her journey during the three acts really poignant. 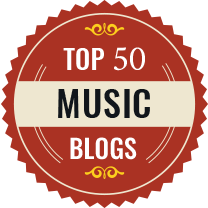 Matteo Desole has the sort of frank, direct Italian voice that we do not always hear a lot of in this country. Perhaps not the most sophisticated of stylists, I warmed to him because of the sheer expressive directness of his performance. And whilst there was a tendency to sing too much at one level, he certainly made an effort to modulate his tone and create some quietly expressive moments. He was rather less the country bumpkin than usual, but still naive and out of his depth, and perhaps a little gauche. Yet with a seriousness of purpose too. His scenes with Lauren Fagan did crackle, and I felt that his playing of the Act Three scene at Flora's was rather less vicious than usual. Stephen Gadd is an experienced Germont and he brought great musicality, subtlety and depth to the role. During his scene with Lauren Fagan there were numerous moments when Gadd's facial expression illuminated this rather severe and up-tight Germont. He was rigid and controlled, rather than severe and nasty, and there were clearly a few moments of sympathy (and a wonderful one of alarm when she talked about embracing her as a daughter, this Germont seemed the least physical of men). The result was a powerful and moving duet with Fagan, rightly the centre-piece. Laura Woods made a striking Flora, with very lively relationship with the Marchese (David Stephenson). 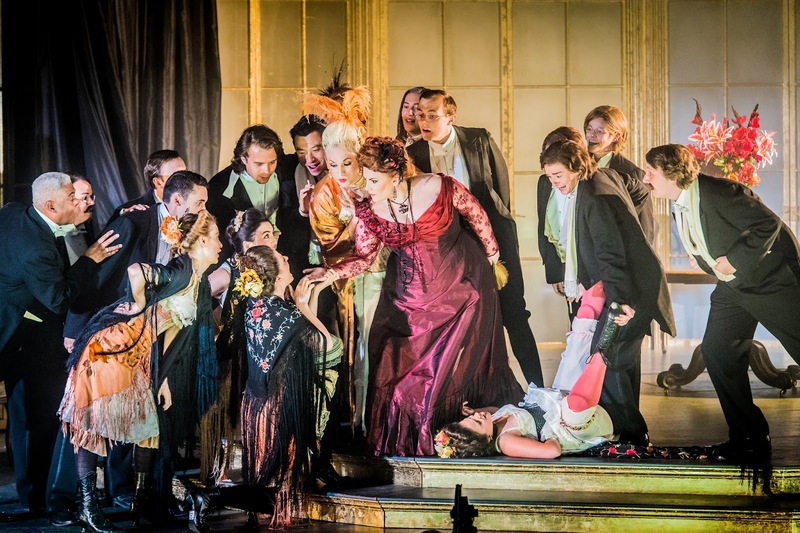 Ellie Edmonds was a characterful and sympathetic Annina, one of those performances which made ou wish that Verdi had given her more to do. Annina here was a very capable servant, attentive and clearly sympathetic to the needs of Violetta's illness. Despite the fact that most of the men were dressed in near identical suits, I don't think I have seen a production which has managed to differentiate so successfully between the various men circulating around Violetta in Act One, so we had strongly characterised (and well sung) performances from Charne Rochford as Gastone, Nicholas Garrett as Barone Douphol (very much the martinet), David Stephenson as Marchese d'Obigny and Henry Grant Kerswell as a very sympathetic Doctor. In the later acts Robert Jenkins was Giuseppe, Ian Massa-Harris was Flora's servant (in very elegant drag), and Alistair Sutherland was the messenger. The Opera Holland Park Chorus was in engaging form, having fun in the parties without ever going too over the top and filling the stage with all sorts of lively life, and plenty of stylish singing too. In the pit Matthew Kofi Waldren drew a lithely expressive performance from the City of London Sinfonia. This was an admirably paced account of the opera, one which breathed and flowed but also had an urgency too it. 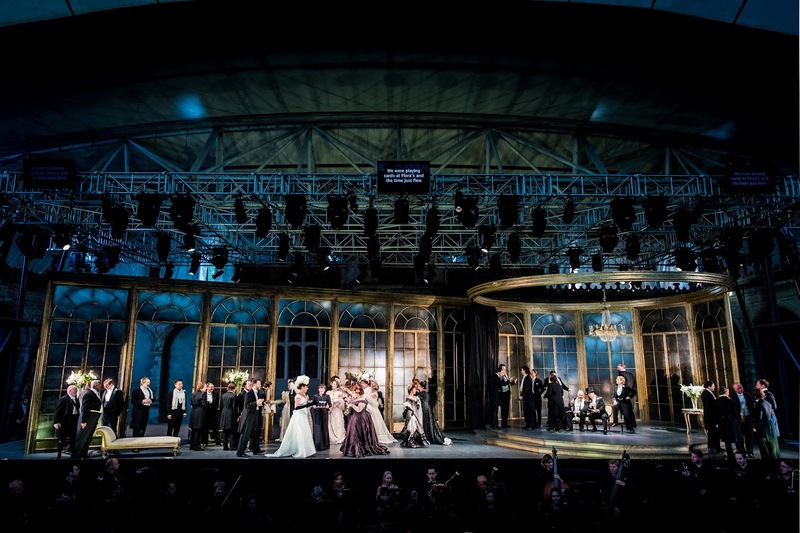 Opera Holland Park as a number of other delights in store this season, but this production of La traviata made an engaging, sophisticated and musically satisfying start to the season, complete with vocal fireworks.